You are currently browsing the Got Transmissions blog archives for June, 2014. A consumer can buy 1999 Acura Integra GSR transmission from a reputable resource like Got Transmissions online. Learning how to make a purchase and the history of the gearboxes used in Honda vehicles is crucial to a great experience. The GSR vehicles were first created in the mid 1990s and are known for a popular engine and gearbox combo. Taking the necessary time to evaluate the process of examining a transmission can be a big help. Integra vehicles use a transverse mounted motor. This is known as a front engine setup. This design provides the use of both manual and automatic transmissions. Honda relied on a five-speed manual to promote the GSR brand to enthusiasts. The four-speed automatic edition was the base gearbox found in the standard Integra vehicles. The GLCS or Grade Logic Control System was used to electronically control the four-speed editions. There are different needs for automotive consumers who purchase vehicles. Honda Motor Company takes this into consideration when building automotive parts. The five-speed transmissions in the GSR use a combination of manual components. The clutch cable, flywheel, clutch hydraulic hose, pilot bearing and shaft seals work in combination with the manual offerings of the five-speed. A clutch slave cylinder is also used as part of the complete drive train. The designs of the S80 transmission helped to power the Integra powertrain. Earlier instances of the Y80 transmissions were unsuccessful for the GSR series. The standard transmissions used in the early 1990s were upgraded after the 1994 year. Some of these builds included LSD, or limited slip differential, depending on the design of the vehicle. Most of these editions can be identified by a large LSD stamp on the transmission housing. The B16A is the base motor found in most Honda vehicles in production until 2001. The 1.8L motor included in the GSR is a VTEC engine. There are six types of gearboxes used inside of Integra cars built over a 15-year period. These are the Y1, Y21, Y80, S80 and 54C. Not all of these units had an LSD as part of the configuration. All gear ratios were similar although can vary depending on the stamped code used by Honda as an identifier. The hydraulic drive inside of the manual five-speed is what is most sought after in the GSR transmissions. A small change between this technology and what is found is automatic gearboxes by Honda can be confusing. The JDM market can be crowded when searching for a replacement unit. 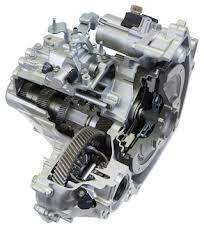 Knowing the facts about used Honda transmissions and how to spot what is needed is the key. Buying from Got Transmissions takes the work out of independent research. A person who is making the jump towards tuning a vehicle or buying replacement parts should know how to buy a Honda transmission. There are used parts, rebuilt assemblies and OEM components that are available. What is portrayed by GotTransmissions.com is based around preowned inventory. The transmissions for sale are all out of the standard OEM warranty range, but are always protected with a one-year plan in the U.S. There is a complete sales staff waiting to provide information and tips about changing out a JDM transmission. The toll-free phone number can be dialed to request this information. A person who needs a VIN match can easily find out if a used S80 transmission is the right part needed. Requests for an online quotation can be submitted direct from the open tool on this page. Inventory from 1990 through to the current year is readily available. 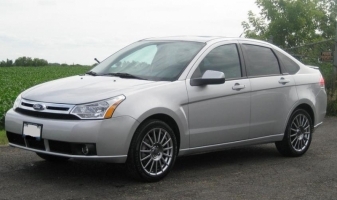 Focus is one of the Ford brands that varies depending on trim level and engine size. Owners of Ford vehicles who are ready to replace an automatic transmission can be limited on options. Got Transmissions provides online resources to review and compare different 2005 Ford Focus ZX4 transmissions for sale. This creates an easy structure for a person to buy a gearbox used. The four-door Focus had its first major change since 1999 with the launch of the 2005 series. Instead of only one trim model, Ford combined the specs into multiple builds. The ZX4 is one of the models that were added. Before a gearbox is changed in these editions, it is helpful to know if the model is a S, SES, ST or SE edition Focus. The 2.0 Zetec engine size is only one indication of gearbox compatibility. Ford Motor Company has set the standard for designing automatic transmissions. The automatic overdrive is a technology that is still in use today in vehicles like the Focus and Fusion. The 2.0 Zetec engines used in the 2005 year provide 130 horsepower that matches the four-speed 4F27E in the ZX4. 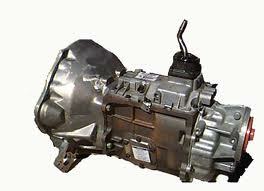 The 4F27E is the transmission that a person replacing a problematic Focus gearbox should buy. Buying preowned Ford transmission assemblies can be cheaper for Focus car owners. It is not always cost effective to purchase a reverse drum or similar part due to dealership costs. A low mileage transmission is always the best option. This GotTransmissions.com website supplies traction control and regular edition overdrive Focus gearboxes. These 2005 ZX4 replacement transmissions are hand selected for optimum quality. A quotation tool is programmed for any person to explore while researching the cost of a Focus transmission. The standard rebuilt, remanufactured or reconditioned assembly pricing that is found online is usually two times what a used unit will cost. The price reviews that are offered using the automatic quotes tool on this website makes transmission shopping easy for everyone. All deals on Ford gearboxes presented include the cost of freight. Price markdowns are one way to save when buying any gearbox. A person who has questions is not always supported by third party transmission resellers. Any request can be placed through the toll-free number found for consumer use here. A team works seven days a week to provide helpful information about Ford Focus transmissions. Information about compatible ZX4 fluid types, VIN numbers and three-year warranties are always provided during each call.